Help! Quiet a Squeaky Wheel! 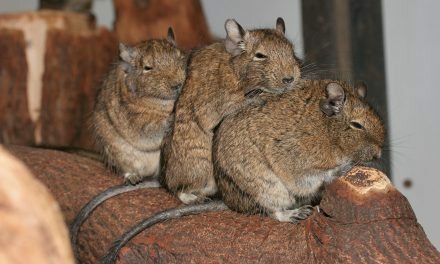 I see you use metal wheels in all your degu’s cages, I have a wheel just like yours but sometimes when they use it, it started to squeak like crazy! How can I make that stop? Is there a way to modify the wheel to stop the squeak or any sort of temporary solution? This noise is driving me nuts! And they always want to run extra on school nights!!!! Yep Kimmy, I have a great solution for temporarily fixing that crazy squeak! Dab the axle with some vegetable oil or olive oil. It’s a safe lubricant that will reduce the squeak for a day or two and won’t harm your little ones if [more like when] they ingest it. 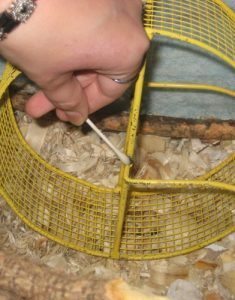 Just make sure you give your metal wheel a good cleaning every time you clean out the cage, the oil will build up some dust /dirt residue on the axle making the squeaky noise return. Note: Don’t use any of those fancy flavored olive oils for a couple reasons. I keep a small bottle of vegetable oil with my degu food supply, along with a pile of q-tips (or cotton swabs) and some paper towels. 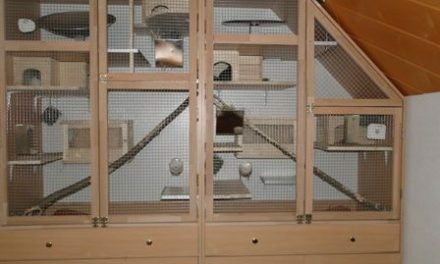 NextFind Degu Snacks and Treats Around Your Home! 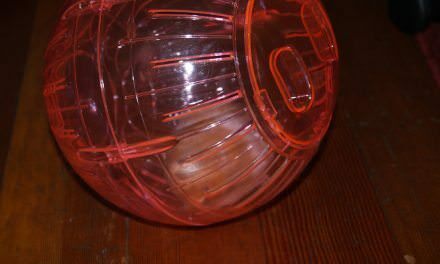 Can I Let My Degu Play in a Hamster Ball?